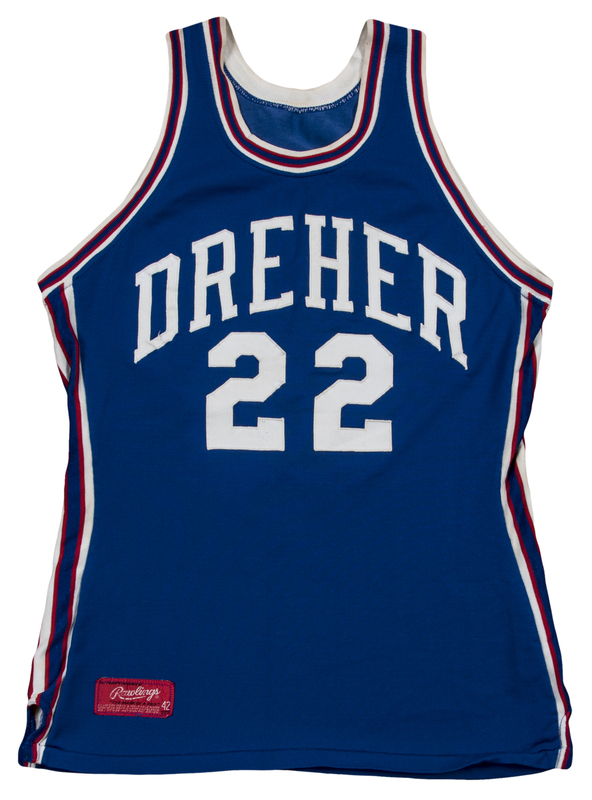 Before Alex English scored 25,000 points in the NBA, the Columbia, South Carolina native starred for the Dreher High School Blue Devils. The rangy 6’7” small forward graduated from Dreher in 1972 with over 100 scholarship offers from major college basketball programs. English rejected countless blue-blood programs to stay in state, at the University of South Carolina, where he played for four years and averaged 17.8 points per game, including an average of 22.6 per contest his senior season. English left school with 1,972 points, then South Carolina’s all-time record. 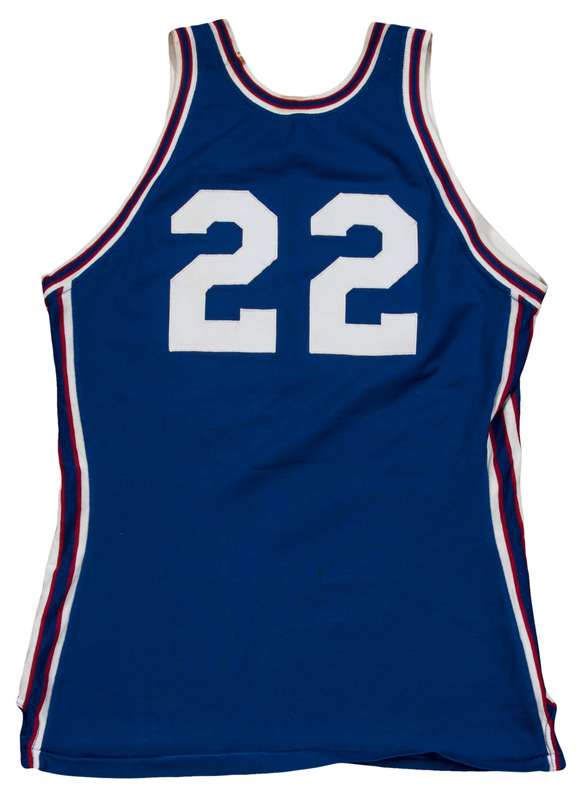 Although English’s NBA career started with uncertainty and inconsistency, the former Gamecock star turned himself into one of the best players of his generation and a Hall of Fame scorer. English retired after the 1990-91 NBA season, and in 1997 was inducted into the Naismith Memorial Basketball Hall of Fame. This Dreher High School jersey is blue, with “DREHER” and English’s number “22” sewn on the chest in white tackle twill. 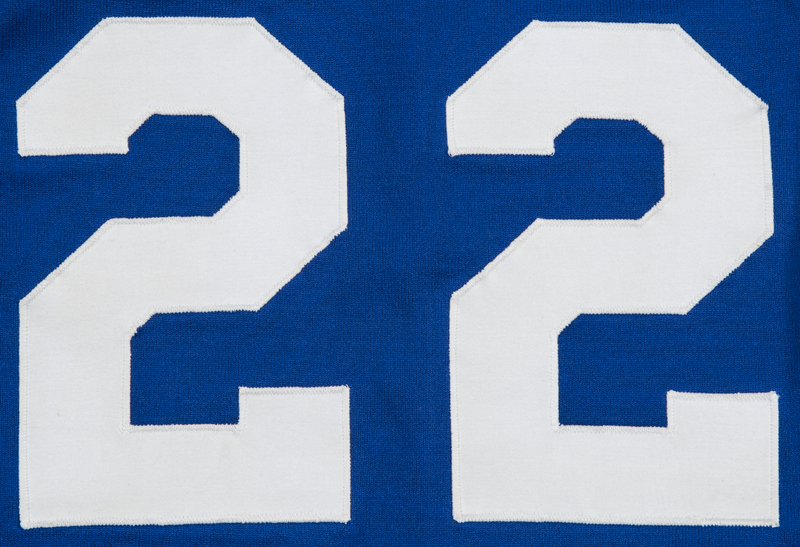 A second “22” is sewn on the back of the jersey, also in white tackle twill. 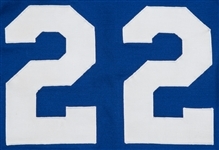 The sides of the jersey are accented with red, white, and blue. 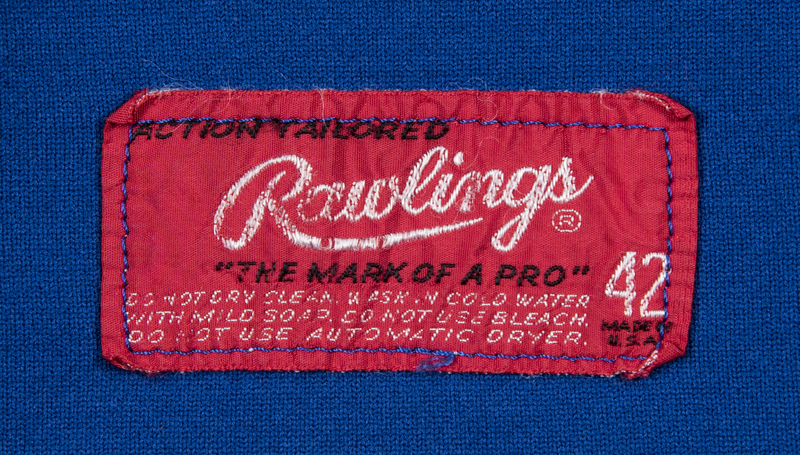 A Rawlings size “42” tag is sewn on the front right tail of this historically significant jersey. 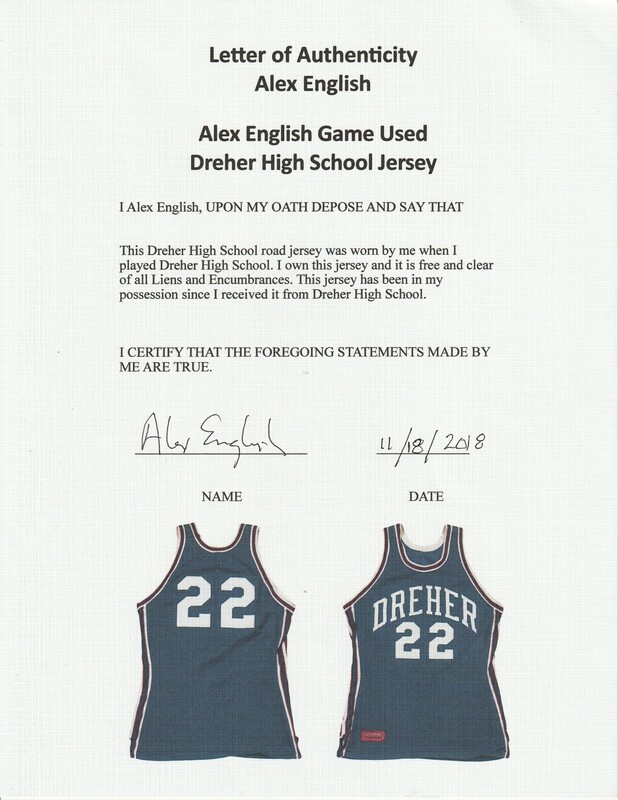 This Dreher High School home jersey comes with a LOA from Alex English himself.